21 Detox Footpads – Our footpads are the culmination of centuries of Japanese knowledge that has been passed down through generations. 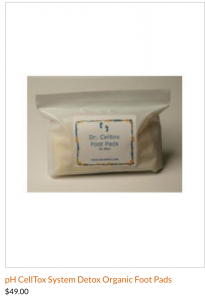 Detox foot pads are used to help cleanse the body of harmful chemical and heavy metal toxins. They are believed to relieve fatigue, joint pain, headaches,skin rashes, and many other health problems. Apply our detox foot pads to alternate feet before bed and experience better sleep. Wake feeling refreshed and energized in the morning! ?